It Brought a New Style to Fiction: The Stage, September 23, 1976, page unknown, Brian Clemens, England. Vladek and His Iron Curtain Call (plus clippings): TV Times, November 11, 1976, p. 34, Dave Lanning, England. The Old, New Avenger (plus clippings): TV Times, November 25, 1976, p. 34, Dave Lanning, England. The Man Who Taught The New Avengers How to Fight: TV Times, December 16, 1976, pp. 4,5,6,7, Ken Roche, England. Mr. Avengers: The Man Who Liberated Purdey: TV Times, October 27, 1977, p. 22, Stewart Knowles, England. Take Heart 'Avenger' Fans--Clemens is Back: Associated Press, date unknown, page unknown, Associated Press, United States. View from Behind the Scenes with Brian Clemens: The Avengers/Patrick Macnee Fan Network Newsletter, Issue 14, March/April, 1980, pp. 2-9, Editorial, United States. 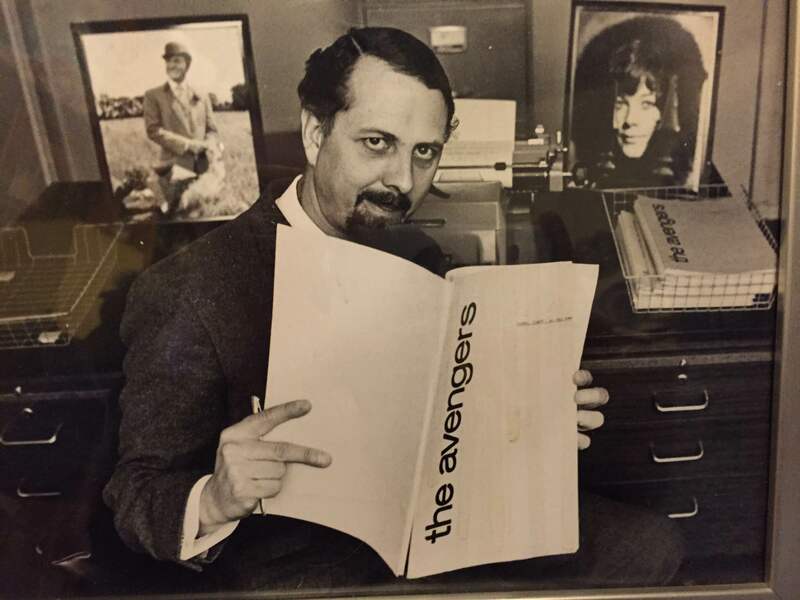 Brian Clemens: With Umbrella, Charm, and Bowler, Vol. 1, No. 3, January, 1983, pp. 9-10, David Caruba, United States. An Interview with Sydney Newman: With Umbrella, Charm, and Bowler, Vol. 1, No. 4, June, 1983, pp. 9-11, David Caruba, United States. Brian Clemens: Writer, Creator, Producer: TV Zone, Issue 28, March 28, 1992, pp. 9-11, Jan Vincent-Rudzki, Britain. The Perils of Cyd: Stay Tuned, Vol. 2, No. 5, pp. 4-23, Dave Rogers, England. Brian Clemens, Sentenced To Manual Labour: Parts One, Two, and Three: Stay Tuned, Vol. 2, Nos. 6-8, various pages, Dave Rogers, England.